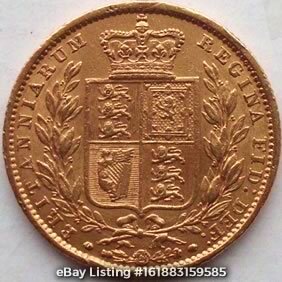 We’ve created this page to highlight notable of listings of rare Sovereigns on eBay. We’ll update this page on a regular basis, so don’t forget to bookmark this page and check back on a regular basis. 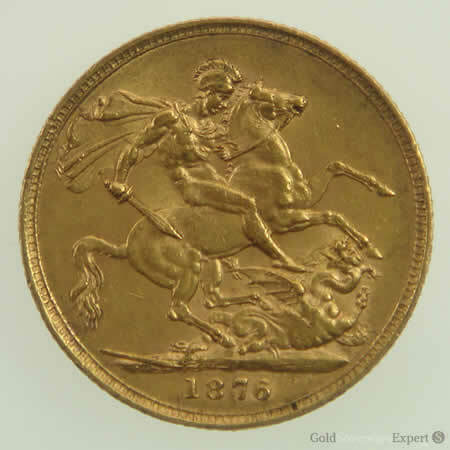 If you’re on Twitter, you can follow us via @gold_sovereigns & receive updates when we spot a rare Sovereign that’s worth bidding on. 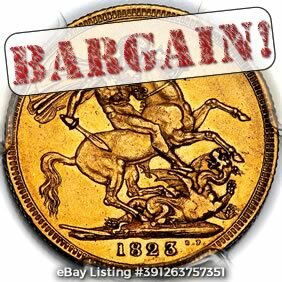 If you list a rare Sovereign on eBay, we’d love to feature it on this page & tweet the details to our followers. 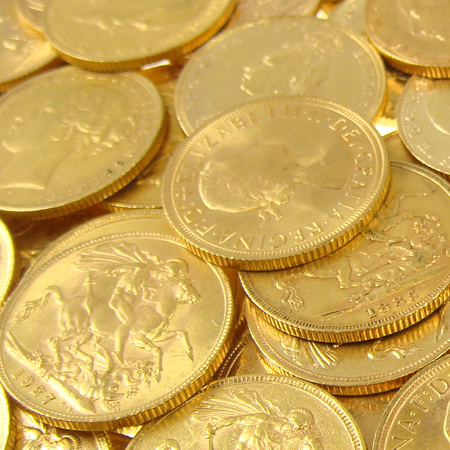 Just ping us an email to ‘hello -at- goldsovereignexpert.com‘ & let us know the listing number. 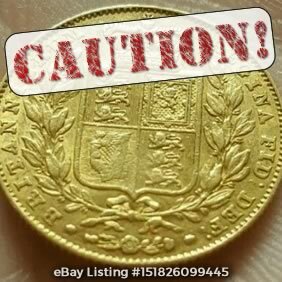 Disclaimer: Please exercise extreme caution when purchasing rare Sovereigns on eBay. Due to their high value, fraudulent listings are not uncommon and will catch-out an unsuspecting buyer. We do not endorse any of the listings referred to below. Comments: The seller has graded their coin ‘NVF’, which seems fair. A few subtle variations exist for this year. If you study the date on the obverse (heads) side, you’ll notice the hook of the ‘2’ is closed. The initial price has been set at £199, so it’s well worth bidding on. 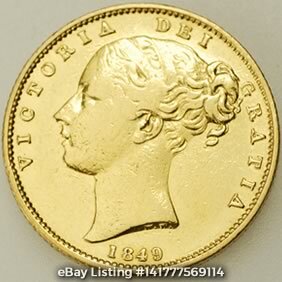 Comments: A pleasant looking shield Sovereign in ‘VF’ condition. This is on a 5 day auction with a £0.99 start. The Spink guide values are £300 for ‘Fine’ & £425 for ‘VF’. If this sells for around £330 it’s a good buy. Update: No surprises, this was a fraudulent listing. 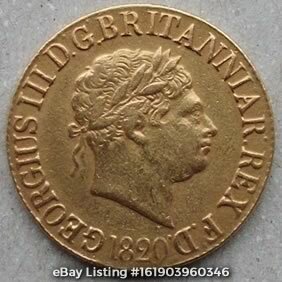 Comments: Being the first Sovereign of Queen Victoria’s reign, 1838 coins are always popular with collectors, however they are also a target for scammers & we’re not 100% sure about this listing. The photos of this coin were taken in November 2014, so are almost 12 months old. The seller has no history of selling high value items, yet 4 high ticket items have been listed, all ending on the same day. If you are considering bidding on this, we would recommend you exercise extreme caution. Contact the seller & request up-to-date photographs that include some sort of proof of ownership, such as their eBay ID or the date written on a piece of paper next to the coin. 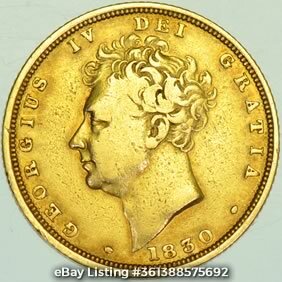 Comments: Rated ‘R3’ by Marsh, this 1824 Sovereign is an extremely rare and excellent specimen. It also benefits from having been slabbed & graded ‘AU53’ by PCGS. 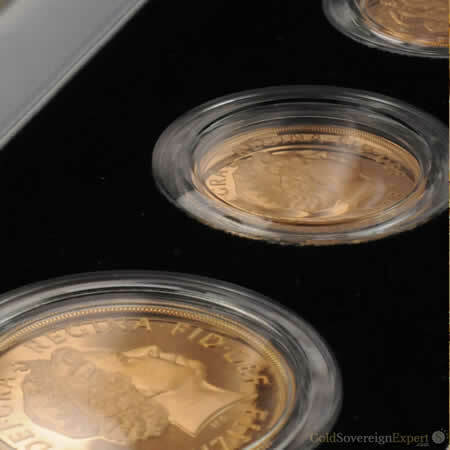 USA & overseas coin collectors can therefore buy with confidence. £0.99 auction start price. Spink guide prices are £2,500 – ‘VF’ & £7,000 – ‘EF’. Comments: A worn coin in ‘Fine’ condition with a £0.99 auction start price. 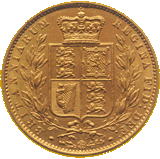 Marsh rates this coin as ‘scarce’. Spink list a guide price of £500 in this condition. 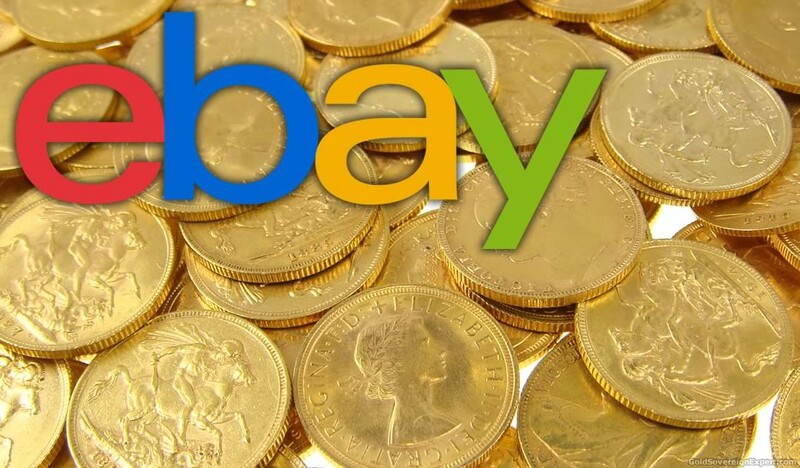 Bucks Coins regularly list on eBay and are a trusted and reliable seller. Comments: This coin has at some point in the past been polished, which is a shame. The Spink guide prices for this coin are £425 in ‘VF’ condition and £900 in ‘EF’ condition. At a start price of £0.01, it’s well worth getting a bid in. 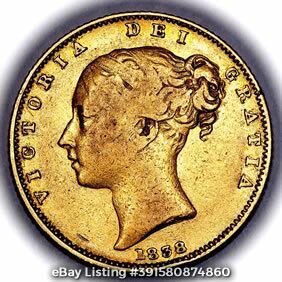 The seller ‘1st Sovereign’ are a regular eBay seller of coins, so bid with confidence.